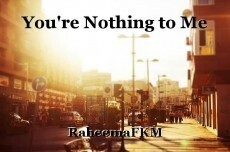 © Copyright 2019 RaheemaFKM. All rights reserved. The flow of this is lovely!! I haven't read one thing of yours that I didn't like. High praise indeed! *cheeky grin* I'll do my best to keep up the quality, so just stay tuned. This page was created in 0.3328 seconds.